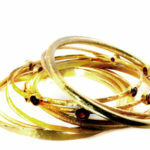 An assortment of 18kt yellow gold bangle bracelets. 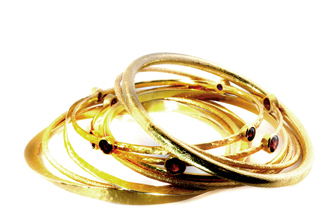 These bracelets are sold separately but look wonderful stacked. These are a Jorge Adeler custom design.